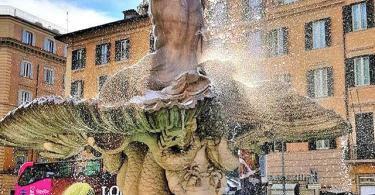 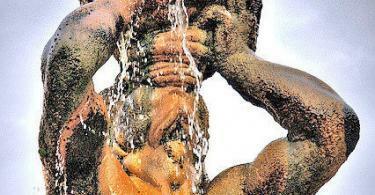 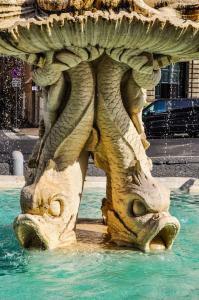 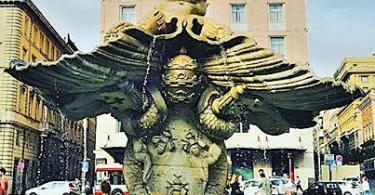 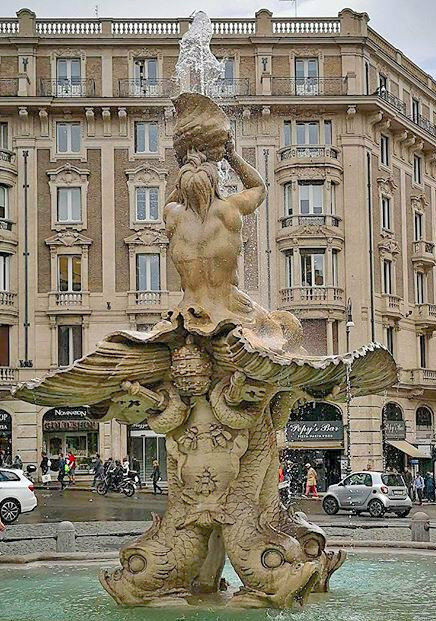 In the middle of Piazza Barberini, you’ll find Triton Fountain (Fontana del Tritone). 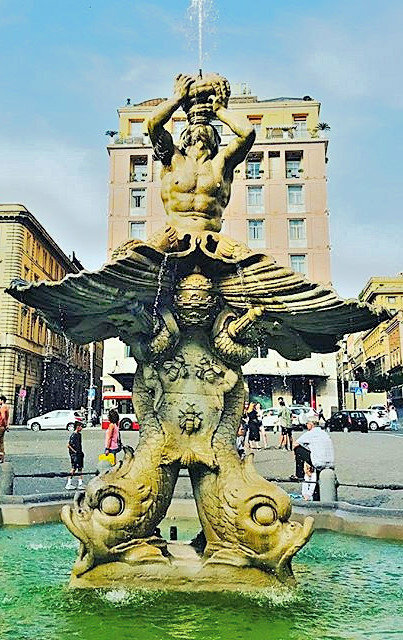 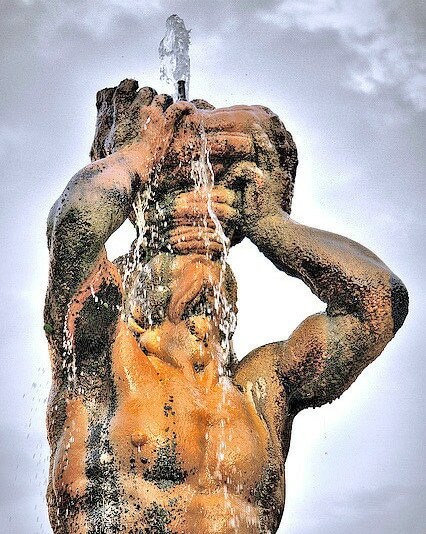 Triton Fountain was created in 1642 by carver “Gian Lorenzo Bernini” and functions 4 dolphins holding up a seashell, upon which a muscular Triton kneels. 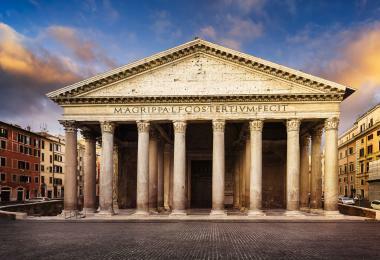 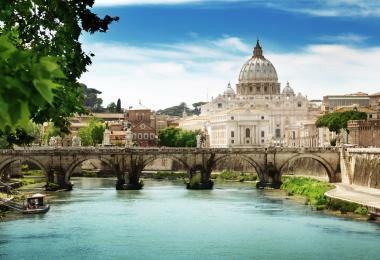 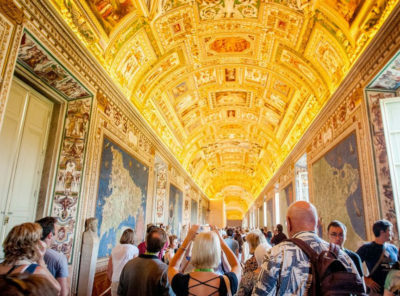 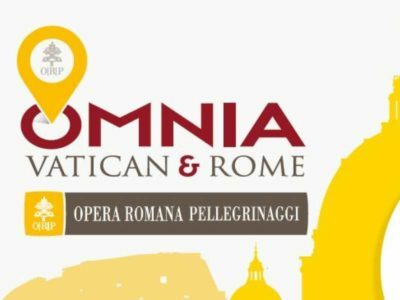 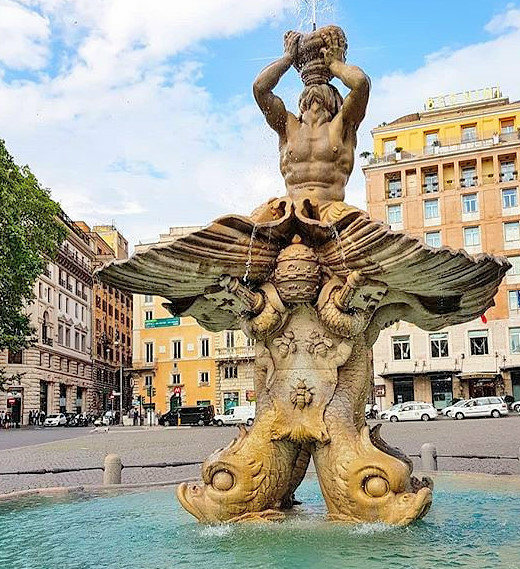 The artist was commissioned by Pope Urban VIII Barberini (1623-1644) to create the work as a “public ornament of the city” in the center of the square dominated by the new palace of his family. 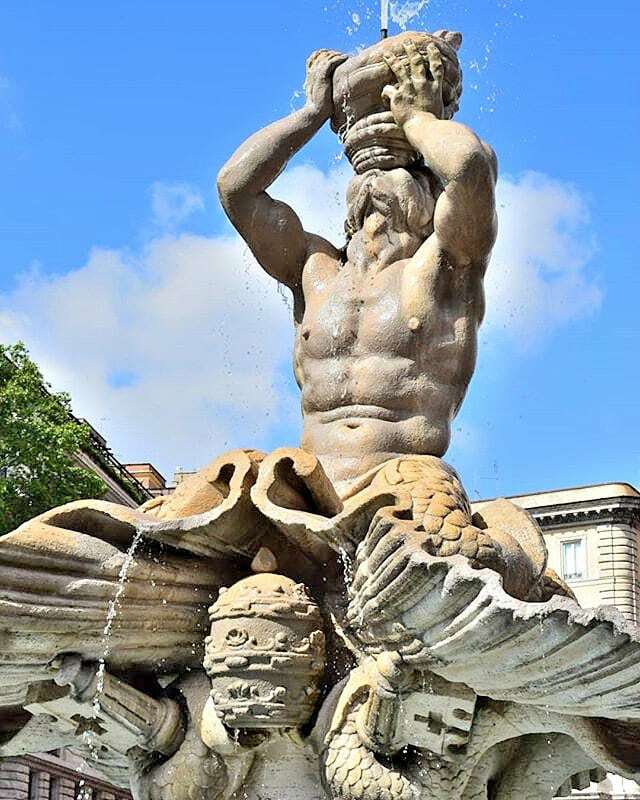 Represented on the shells of an enormous shell, with the erect bust and scaly legs of a sea monster, the Triton stands imposingly with its head bent backwards in the effort to blow into the large whelk (or twisted shell) that it holds with its arms raised upwards and from which comes out copious water that flows throughout the work. 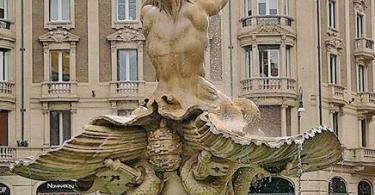 An expression of the new Baroque conception of space, the sculptural part of the fountain includes and absorbs completely the same architectural structure: the shell on which the triton rests is in fact the upper basin of the fountain, and the baluster at the base is replaced by four dolphins with intertwined tails, including the papal coats of arms with the bees, the heraldic symbol of the Barberini family. 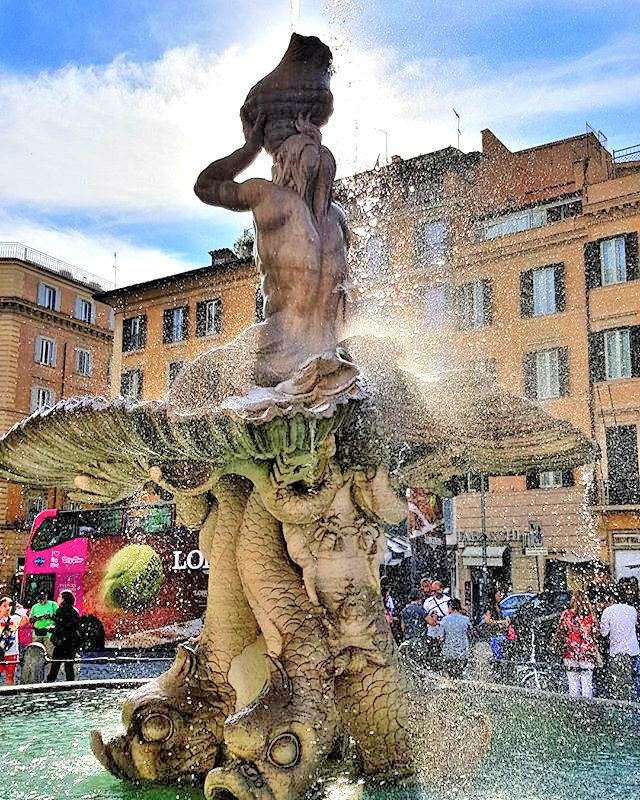 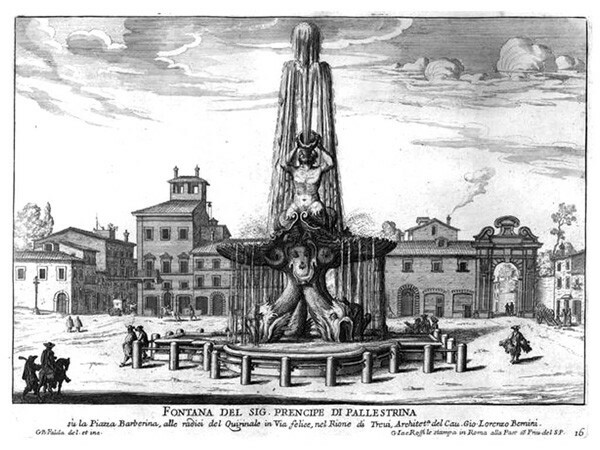 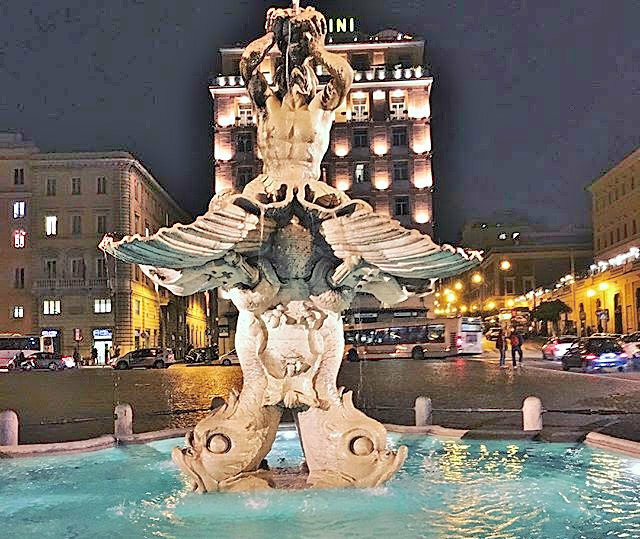 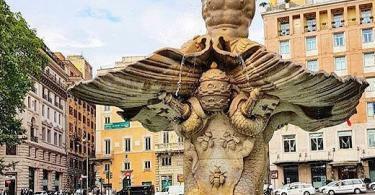 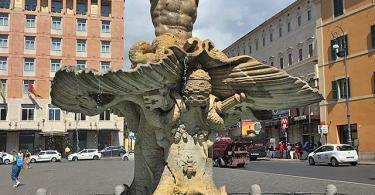 Bernini himself also designed a fountain for travelers, originally located on the square at the corner of Via Sistina, known as the Fountain of the Bees (today at the beginning of Via Veneto). 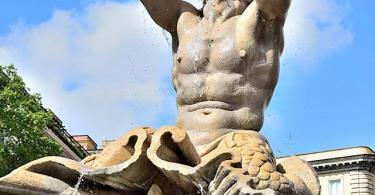 The Triton Fountain has recently undergone various restoration works. 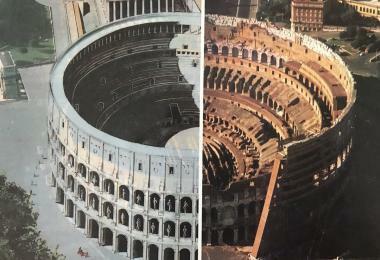 The first, carried out in 1987-1988, was followed by extraordinary work in 1990 and subsequent maintenance in 1991-1992 and 1998. 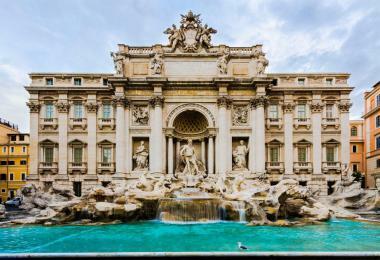 The last restoration was in 2013. 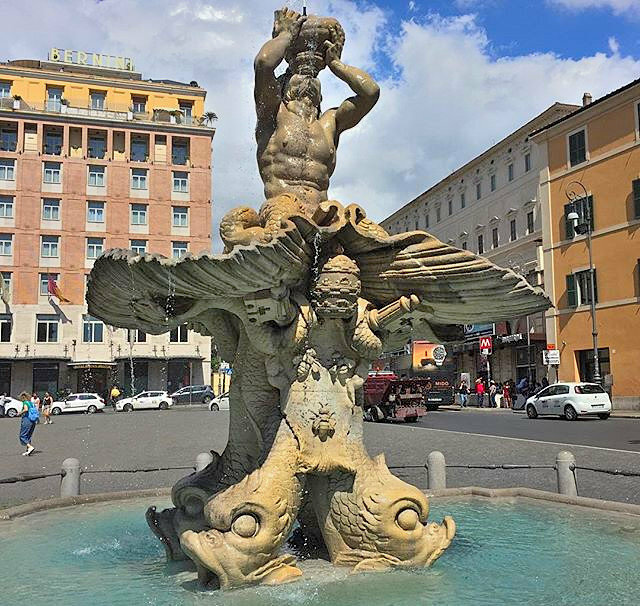 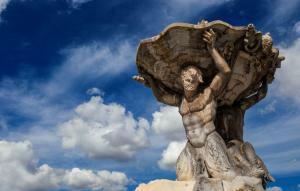 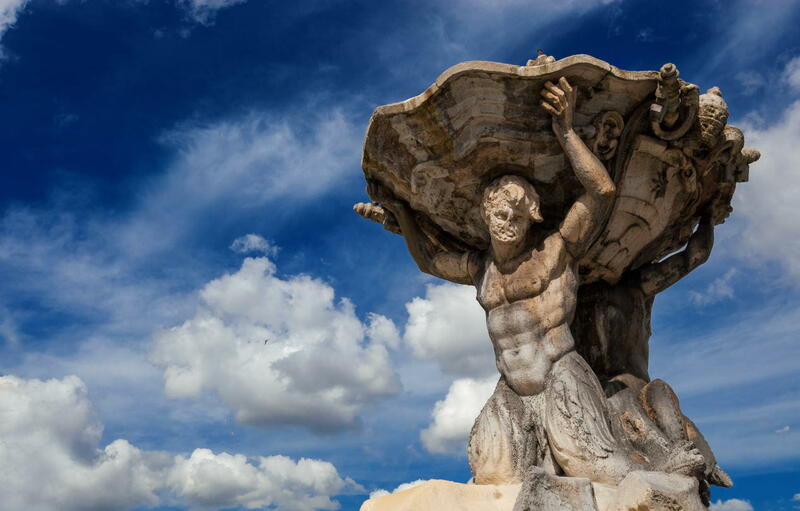 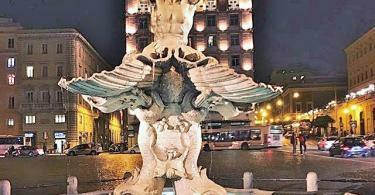 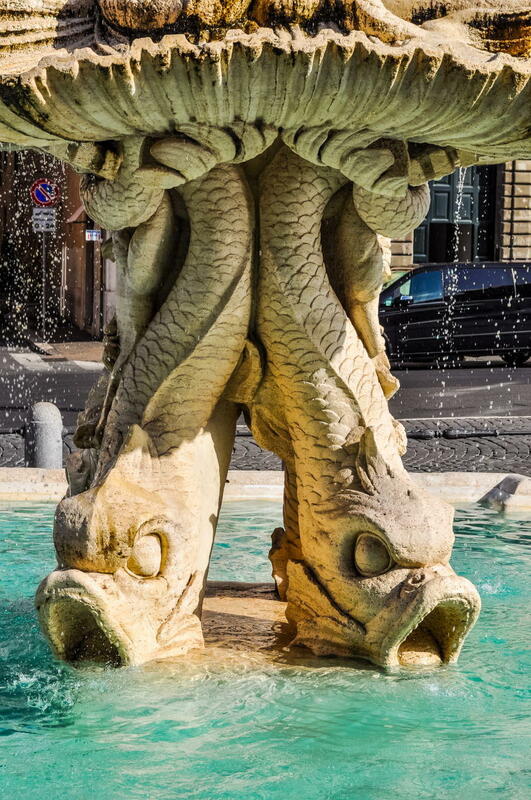 Triton Fountain set in the center of Rome, 0.40 km from (6 min walk) from Colosseum. 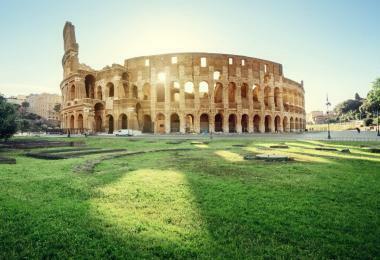 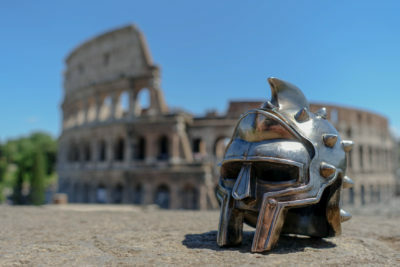 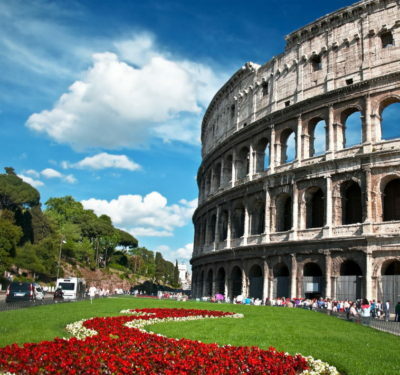 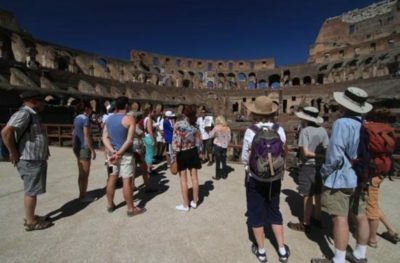 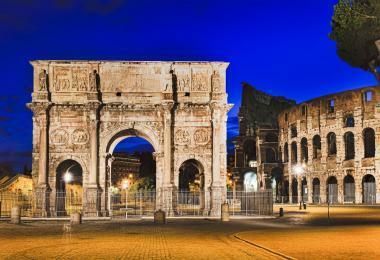 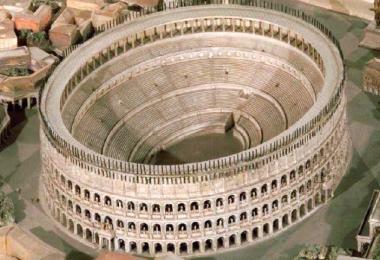 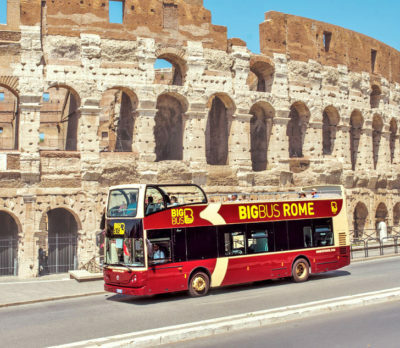 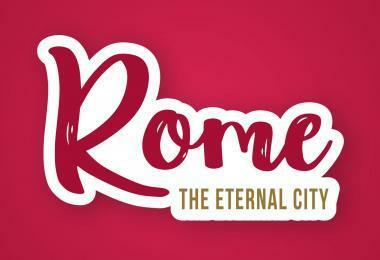 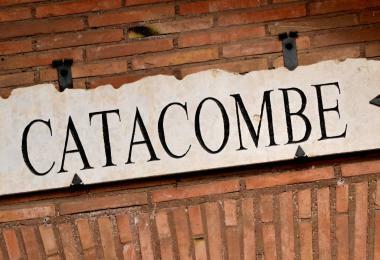 0.40 km from (6 min walk) Colosseum.